What if you had an ebook that would take your business income to the next higher level? Let’s talk about your ebook project! There are two ways entrepreneurs can publish an ebook. Which you choose depends on how you want to use it. You can easily publish an ebook at amazon by creating an Amazon Author Account. Non-fiction ebooks at amazon—sometimes called “how-to” books—can be as short as 50 pages. They are usually priced in the $4.99 - $9.99 range. Anything higher than that does not sell well on amazon. This type of ebook is often called a Special Report, though that phrase has now become a bit dated. Many entrepreneurs publish ebooks that are PDF files downloadable from their website, and/or sent via email-marketing campaigns. Often this type of free download is used as a free offer, or lead magnet, given in exchange for an email address. You can charge more for this type of ebook, especially if you have step-by-step instructions on how to do something. Give it away for free? You also have the option to give your ebook away for free. This is how many entrepreneurs build their email lists. Here’s where you have to decide which will best serve your business. Which would you as a customer or client rather have for free, an ebook valued at $9.99 or one valued at $29? When I had my business in Las Vegas, Graphic Communications, I specialized in direct mail marketing. I wrote and had printed a pocket-sized booklet called, How To Increase Your Business With Direct Mail Marketing. Even though I never planned to sell it, I put a price on the cover of $ 9.95. I gave it away for free along with my business card. Imagine my surprise when a few people asked if they could buy extra copies! Writing, designing and printing that book took a lot of time, effort, and $$$. It paid off in new business, but still, initially it took a lot of hours that I could have spent doing client work. So I know how it feels to be a busy entrepreneur with a gazillion things to do on your plate. I know how it feels to feel frustrated by not enough hours In the day. You may also hate the marketing part of business. And you’re not alone. That’s why I began to help busy entrepreneurs like you by writing, editing, and designing business ebooks. Did you know that many successful business ebooks have actually been written by someone else? So you see, it doesn’t matter if you think you have no writing and/or design skills. You don’t need them. You just need a business model, which you already have. Let me write and edit your e-book, design your cover and interior page layout, and create the final production files for you. If you don't already have an idea or outline for your e-book, I can help you choose your topic, create an outline, and research your topic. 50% or more of the reason people choose a particular book is the TITLE. I will help you discover the right title for your book. Many entrepreneurs want to know: How long should my e-book be? We live today in a binge-watching-Netflix world. People want information in a fast, no-nonsense delivery mode. This means you want your e-book to tell your story in an informative yet reader-friendly manner. A successful e-book today can be as short as 50 to 100 pages. 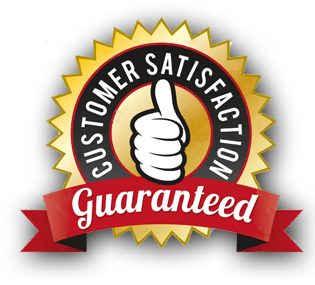 We will discuss your deadline and determine if it is realistic and fits with other business commitments you and I both have. If you do not already have an outline in mind for your book, we would discuss and determine what content you want in your ebook. I will write & edit the content, and you get unlimited revisions (usually we get it in 3 to 4). I will design your custom cover, and you get up to 3 revisions (this is average). Because I believe in the power of a person’s word, I don’t work with a contract per se, just a Letter Of Agreement that outlines the scope and details of your project. 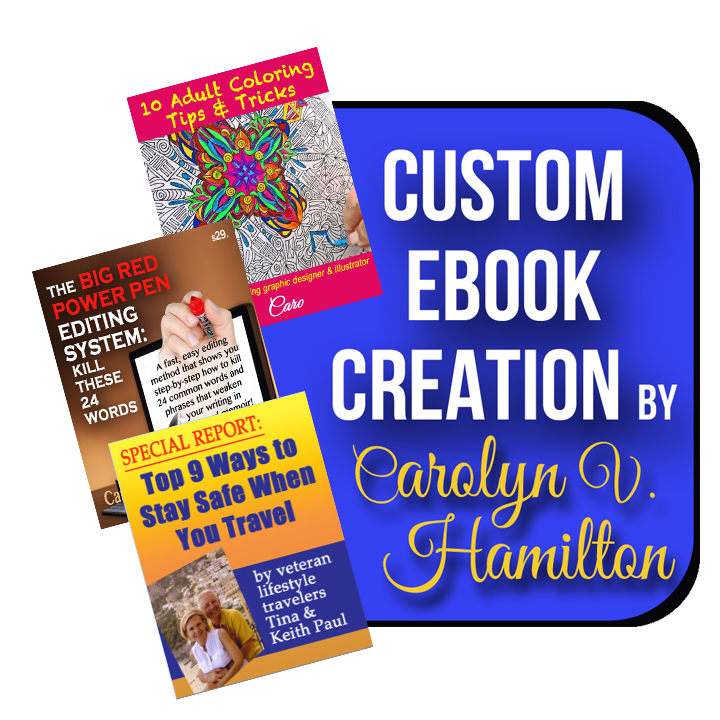 "Carolyn created our first ebook titled 'Top 9 Ways to Stay Safe When Traveling.' She did a great job. We used this ebook as a free give-away for signing up for our website newsletter. The ebook resulted in an increase in our email subscriber list."